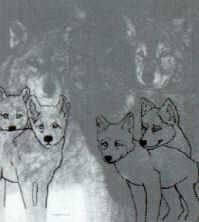 Judy Larson 's Limited Edition Print " Silent Spring "
responsibility of carring for the precious pups. indeed, their very existence, is questionable. 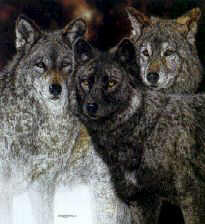 winter, size of the pack, lack of large prey, prey/predator ratio and man. no puppy whimpers, yips, barks, or howels will be heard. It would be a " Silent Spring "
Copyright © 1997 [Koshkonong Galleries Ltd.]. All rights reserved.